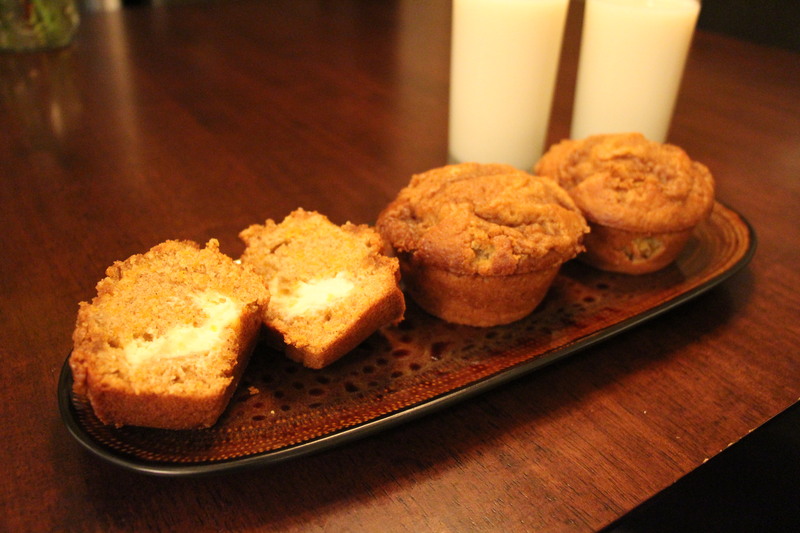 I wanted to learn this recipe because I am absolutely obsessed with the pumpkin muffins from Tim Hortons and was getting impatient as I waited for them to come out! If you are in love with those muffins like me, you should definitely give this recipe a try! They are soo good and can actually compare to the ones at Tims! Try them this weekend for Thanksgiving, they are sure to be a favorite! The first thing you need to do is cook your pumpkin. I cooked my pumpkin in the oven, but there are many ways to cook it, so it is just what you prefer. My oven directions are to put your two pumpkin halves in a roast pan (with a cover). Add 2 cups of water in the bottom to keep the pumpkin from drying out. Cook the pumpkin at 350 degrees for about an hour, or until soft. Let it cool before scooping out the cooked pumpkin. The step by step directions that I followed are here. To prepare the filling, combine the cream cheese and powdered sugar in the bowl of an electric mixer and whip until smooth. 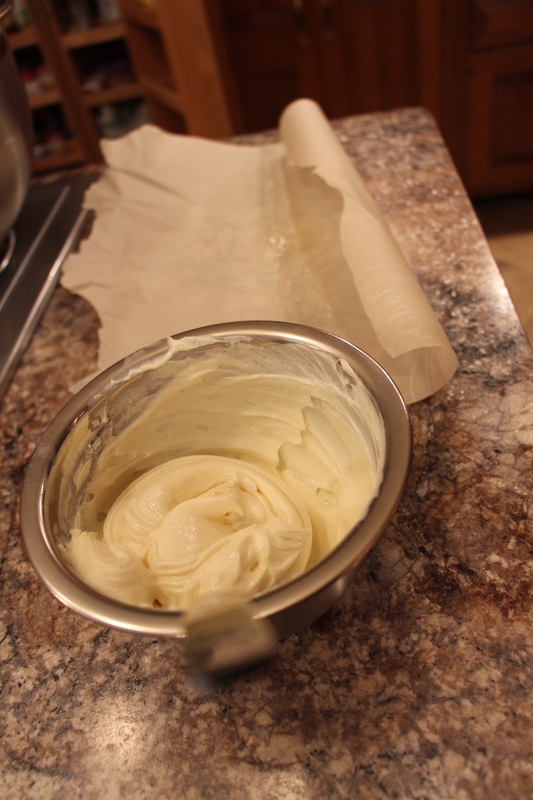 Form into a log on parchment paper greased a little with butter, making sure that the diameter is small enough to fit into the well of a jumbo muffin pan. Wrap the log up tightly and freeze until slightly hardened. To make the streusel topping, combine all ingredients in a small bowl. 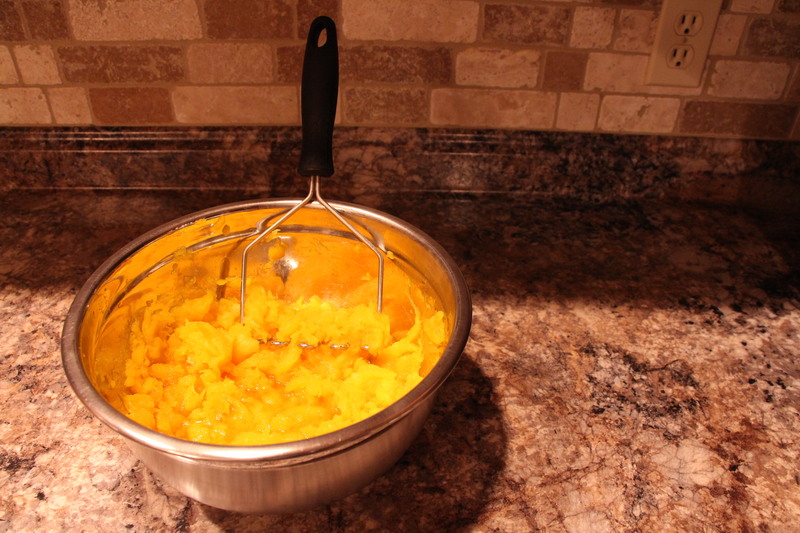 Mix together with a pastry blender or two forks until crumbly. 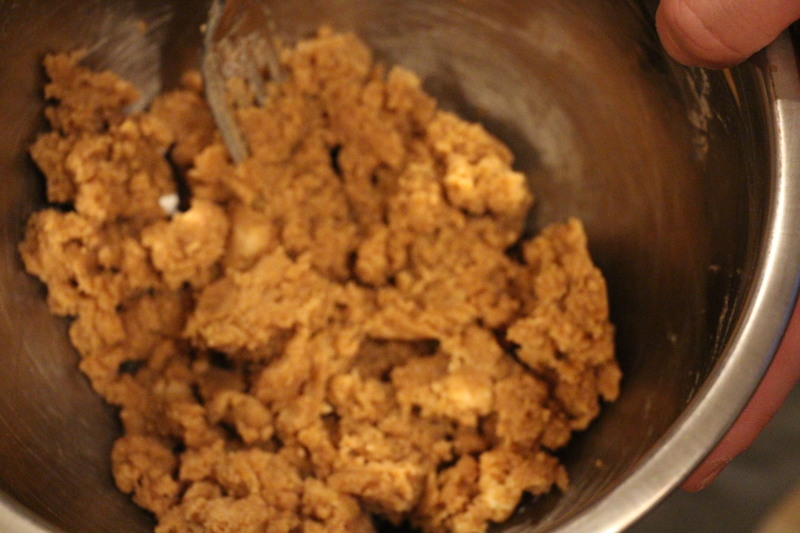 I used brown sugar instead of white, so it ended up tasting more like a crumble then a streusel – delicious either way! Preheat the oven to 350°. Line two jumbo muffin pans with paper liners or grease them with Pam. 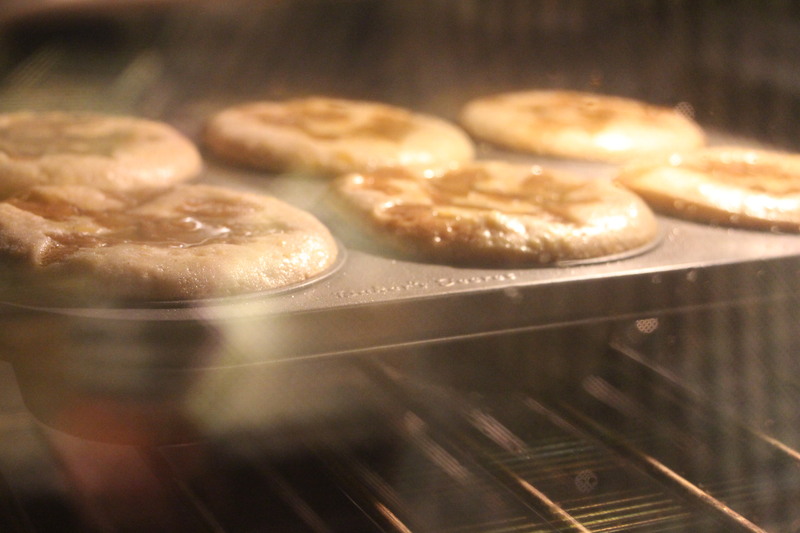 To assemble the muffins, fill each muffin well halfway with batter. Remove the cream cheese log from the freezer and slice into 12 equal slices. Place a slice in each muffin well. 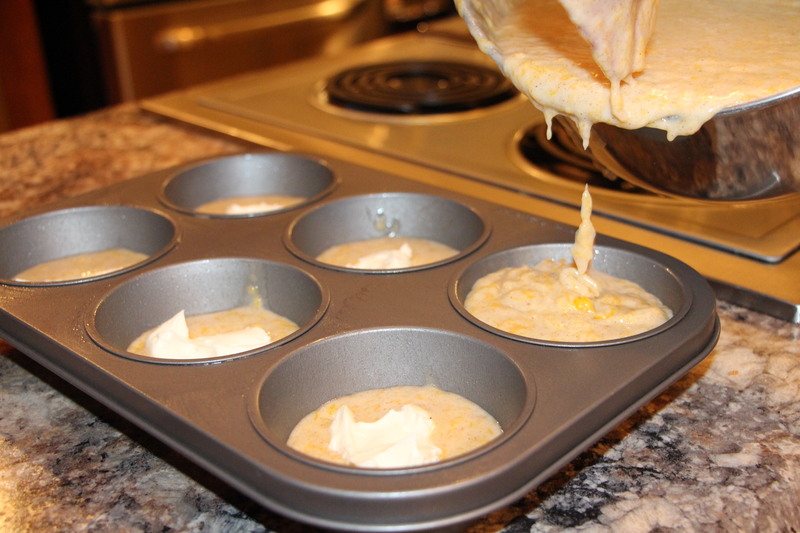 Divide the remaining muffin batter evenly among the muffin cups, on top of the cream cheese. Sprinkle the streusel topping over the top of the batter. Bake for 25-30 minutes. Let cool completely before serving. Okay my mouth is watering just thinking about these muffins! They are honestly so good! Make sure to try them out and let me know if you love them!